Knights player Jerjer Gibson (right) jockeys for position against Nelson “Nelly” Santana during Thursday nights game against Baltimore. Nelly’s return home was a good one for Baltimore, who beat the Silver Knights 6-3. The Knights will open the 2017 portion of the season with a game against Harrisburg. 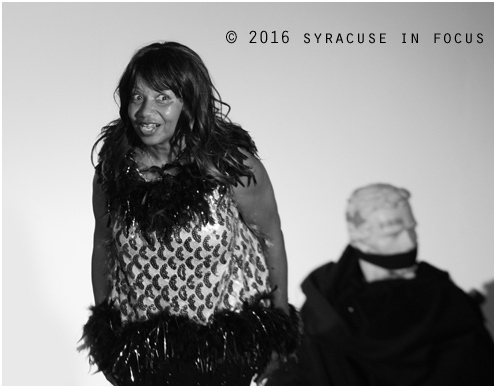 Karin Franklin-King in the Colored Museum. Joey Tavernese scored the final goal of the year for the Silver Knights, With less than a minute to go in the second quarter he plowed his way thru and beat the keeper and another defender during last night’s game. The Silver Knight took a 3-2 lead on this goal, but ended up losing the game. 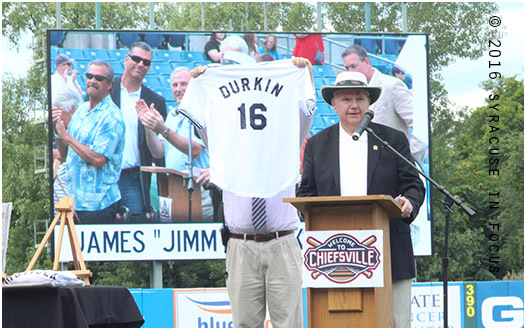 The team’s next game will be against Harrisburg the first week of January. 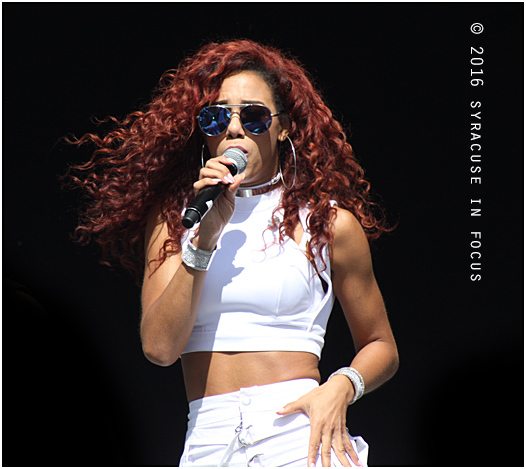 Natalie La Rose (the dutch girl with the red hair) played the NYS Fair in September. 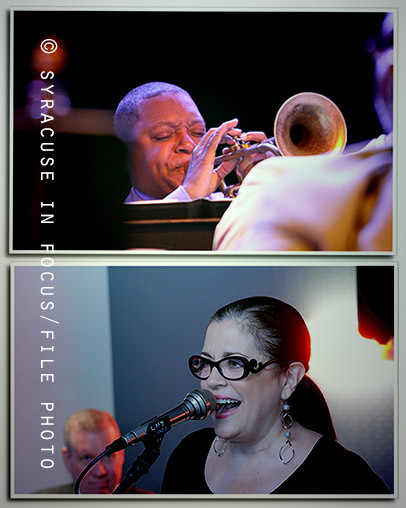 Vocalist and Utica-native Laurie Dapice appeared at Jazz@ Sitrus (Syracuse) in April, then shared the stage with Wynton_Marsalis in August. 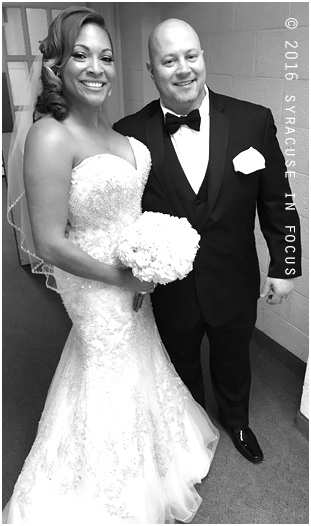 Her debut album was chosen as one of the Best Jazz CDS of 2016 by Downbeat Magazine. 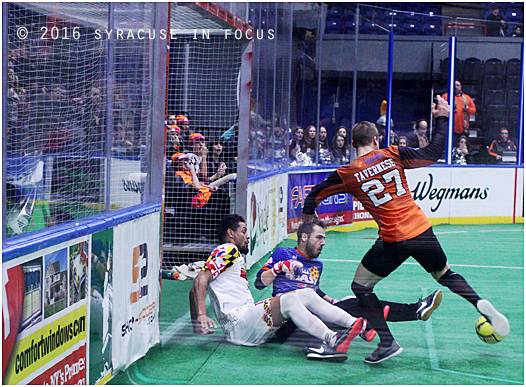 The Syracuse Silver Knights provided some thrills and a holiday victory for fans on Friday night. 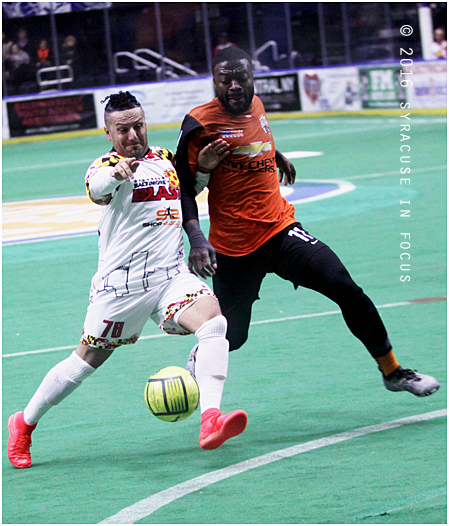 The club came from behind in the fourth quarter to beat Harrisburg 6-4. The game-tying goal by Moises Gonzalez is shown in the clip above.